White EVO now available at Sprint stores | Android Blast! It looks like Best Buy no longer has the exclusive on the white Sprint EVO. 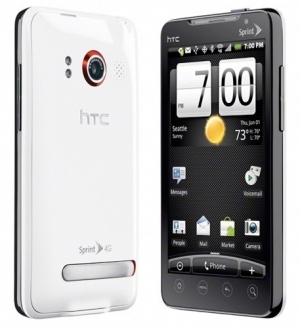 Sprint has posted an announcement that the white version of the HTC EVO 4G is available at Sprint stores. "Starting November 14, the white color version of the award-winning HTC EVO 4G is available in all Sprint business, Telesales and retail channels, including Sprint.com and national retail partners, RadioShack and Best Buy. The device is priced at $199.99 with a new line or eligible upgrade, two-year service agreement, after a $100 mail-in rebate (taxes excluded)." Head on down to your local Sprint store to check out the white EVO. You won't find a better Android device when it comes to features.